After a major hurricane, it can take years for nature to recover. In this series, we look at the ways Irma has changed St. Martin, and how the island recovers—day by day and week by week. 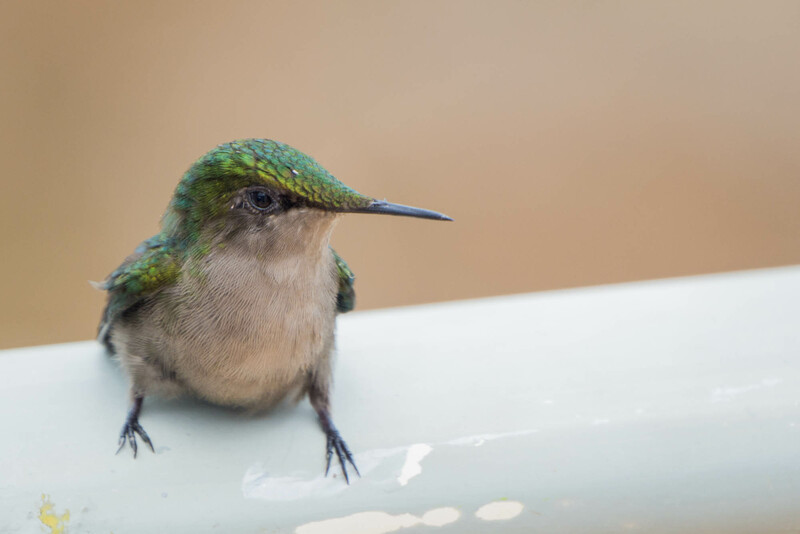 An exhausted hummingbird rests on a railing after the storm. Are there any Irma survivors more amazing than our hummingbirds? 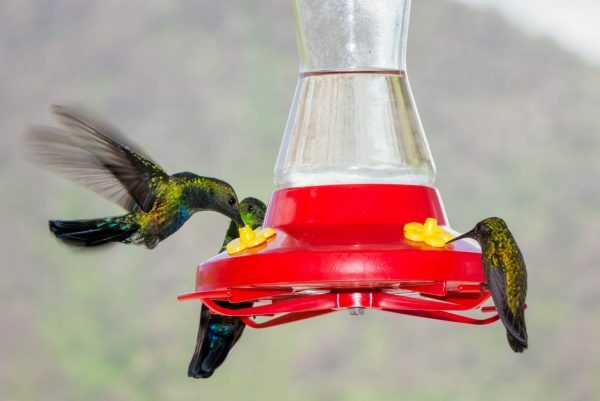 For starters, these tiny birds survived the strongest storm winds in Caribbean history. They managed to hang on—unprotected against the elements—while giant tamarind trees were uprooted. When Irma’s winds died down, the hummingbirds that remained were far from safe. Across the island, every flower had been torn from every plant. Although trees and plants would bounce back quickly, the clock was ticking for our hummingbirds. With a high metabolism, they need to eat frequently to survive. For them, starvation looms in a matter of hours, not days or weeks. One of our first goals after the storm was to provide food for these birds. We had prepared feeders and sugar water to be ready as soon as it was safe to go outside. 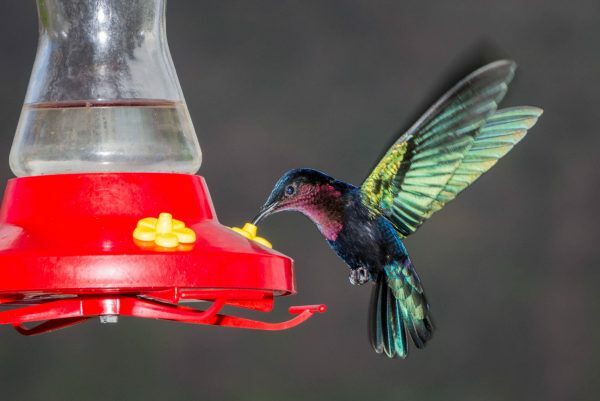 I had heard many stories from people who didn’t see hummingbirds for years after Hurricane Luis in 1995. This time, it would be different. As soon as the feeders were out, they were swarmed by hungry birds. Our two hummingbirds—the Antillean Crested Hummingbird and Green-throated Carib—were there in large numbers. Sugar Birds arrived by the dozen and soon there were more than 100. They perched on every tree around the feeder, screeching to each other. The frenzy at the feeders was a delight during difficult times. We even had a rare visitor to the feeders, the Purple-throated Carib. Found on many nearby islands, it prefers altitudes higher than what St. Martin has to offer and it is seldom seen here. Often protective of nectar sources, the multitude of hummingbirds seemed to make peace at the feeders. Especially during the first two weeks, the feeders were busy and magical, with a dozen hungry hummers hovering around a each feeder in the morning. Three weeks after Irma, the feeders are still busy, but flowers have started blooming again. We helped our hummingbirds bridge a gap that few would have survived on their own. The extra food we provide now gives these survivors a boost as they start new families. With a little luck, no one will talk about the years after Irma when they didn’t see a hummingbird. So happy that food was provided for the hummingbirds. So grateful for all the work you do. Love this article. Thanks, Mark! I’m so glad to hear about the hummingbirds being ok and also hope the butterfly farm is ok too.